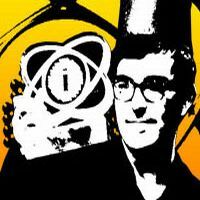 Organizers of the 2009 Independent Games Festival (IGF) have launched the IGF Audience Award voting website, allowing game fans everywhere to download, play, and choose a favorite all of the eligible Main Competition finalist indie games which submitted a publicly playable demo. Online voting is open now and continues through Friday, March 20th, with the award given out at the IGF Awards taking place alongside the Game Developers Choice Awards at the 2009 Game Developers Conference on March 25th. The games with eligible demos or full versions on PC, XBLA, XNA Community Games or PSN are: Retro/Grade, Dyson, Brainpipe, The Maw, IncrediBots, Osmos, Musaic Box, Cortex Command, CarneyVale Showtime, Coil, The Graveyard, PixelJunk Eden, Mightier, You Have To Burn The Rope, and Between. The winner of the Audience Award will be awarded a $2,500 prize, part of the $50,000 total in prizes being given as part of the IGF Main and Student Competitions. Downloads and web-playable versions of eligible Audience Award games -- or information about how to access them -- are available at the official IGF Audience Award website; the full list of IGF finalists is available at the Independent Games Festival website. In addition to those available to play via digital download, all finalist games will be playable at the IGF Pavilion, March 25-27, on the Game Developers Conference (GDC) Expo floor. Finalists were chosen from a record 226 entries and represent the growth of the independent games movement with innovative games of excellent quality, across various platforms. GDC, Think Services' annual conference dedicated to the art, science and business of games, takes place March 23-27, 2009 at the Moscone Convention Center in San Francisco. The IGF was established in 1998 by the CMP Game Group (now Think Services) to encourage innovation in game development and to recognize the best independent game developers, in the way that the Sundance Film Festival honors the independent film community. Mountain Dew's Green Label Gaming is the 2009 Platinum Sponsor, alongside Microsoftâ€™s XNA division and Sony as the Gold and Silver Sponsors respectively, and DigiPen Institute Of Technology as the Platinum Student Showcase Sponsor. For more information on the Independent Games Festival and to register for GDC, please visit the IGF website and the the 2009 Game Developers Conference website respectively.